Denise and I plan to leave Wednesday to drive to Salt Lake City. 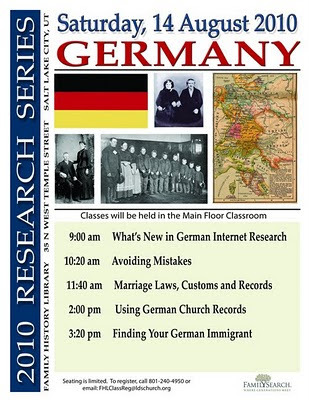 We plan to take a seminar on German Research on Saturday. Five of Denise's eight great-grandparents were from Germany or Prussian areas along the German/Polish border. We have never had much luck tracing them before they got on the boat to come to America. 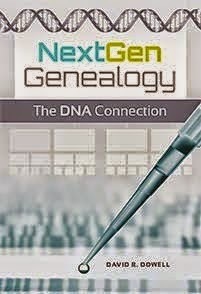 We will spend the next week doing research in the Family History Library. Hope all of you have some time to do research this month. Need to plan my trips better! I'll be going with a cousin the week of Aug 28-Sep 4 and noticed on the education schedule it's pretty light. At least there's one class for German research on the internet! We're staying at your usual place so if you'd like to leave any notes......!